Have you ever heard you were at fault in a car accident just for being there? While this is a myth, many drivers find that they are partially at fault in an accident because they violated one of the rules of the road. To help you understand the full details you may not know and perhaps help you understand a little bit more about accident prevention, here is the ultimate guide on car accidents. Why? The report cites cheaper gas prices and a stronger economy (increasing travel and vacation rates) meant more people were on the road and thus, in danger of car accident incidents. Beyond the types of collisions, there are also several common types of car accidents. Knowing the difference will help you clearly communicate what you saw or experienced to the police or a Milwaukee car accident attorney. Rear end collisions, or getting “rear-ended” and side impact collisions (also called getting “T-boned”) are two of the most common types of vehicle and vehicle collision. Head on collisions usually occur when a vehicle moves into the path of an oncoming vehicle. These crashes are dangerous and damaging due the higher speeds at which they typically occur. Vehicle and object collisions happen when a car collides with a fixed or stationary object, including another car that is parked, light and utility poles and other fixed objects. Pedestrian collisions are less common, but more dangerous than the other types of car accidents. 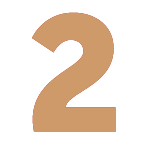 They represent a small portion of total accidents, but a large portion of injuries and fatalities. Some of the main crash-types in Wisconsin include motorcycle collisions, bicycle collisions and pedestrian collisions. Here is a quick snapshot of the data. On average 2,376 motorcycle crashes occur each year. For car collisions involving a bicycle, on average 1,055 crashes occur per year. For car crashes involving a pedestrian, on average 1,244 accidents occur each year. If you've been involved in a car accident, your mind will be thinking about a million things at once. Is everyone okay? Are we safe from danger? What do I do next? To help ease your mind after an accident, just remember these key tips from our team of car accident lawyers, who've seen thousands of car accidents and car accident injuries over the years. It is Important to Seek Medical Attention. Make sure your medical needs are addressed first. Make sure you are as accurate and complete in describing your problems, and that includes any pre-existing problems or conditions. Do not embellish or exaggerate your injuries. And if you are having problems, make sure there are no large gaps in treatment. It happens all too often that insurance companies get out of paying accident related medical expenses because of gaps in care. Being thorough following a vehicle collision is what creates a strong case. Understand that any misstep on either side can be the difference of hundreds or thousands of dollars. In the days following a collision, an insurance company will likely contact you for your version of the events of the accident. The insurance company may ask to record the statement. You are under no obligation to allow a recording if the insurance company is for the other driver. However, if the claim is with your own insurance company, you need to cooperate with them and give a statement. While a recorded statement may seem like a reasonable request, the insurance company is using that tool to prepare for possible litigation, where they can nit pick about things you have said in the statement to create doubt about your claim. 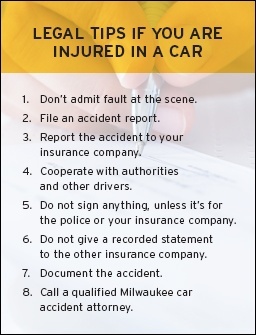 Call an experienced Milwaukee car accident lawyer right away so they can start the process steps in your case. Or fill out a free case evaluation so an attorney can get the facts about your case. Having photographic evidence of the accident can help improve your personal injury claim. 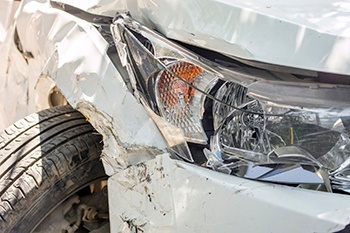 It is helpful for a jury to see the circumstances surrounding the auto accident, including what it looked like and the condition of the vehicles and property damage. It is also helpful for investigators and accident reconstructionists to have a clear picture of your vehicle’s position and damage to the vehicle. The old phrase “a picture is worth a thousand words” means a lot when it comes to documenting your injuries. Showing the jury bruising or lacerations after your accident can help to document how badly you were injured. Additionally, showing medical treatments required, like casts, oxygen and monitoring devices, or assisting devices, such as crutches, wheelchairs or walkers, can help the jury to see the work that went into healing your injuries. Take photographs of your initial injuries butalso monitor the progress of healing. Weather conditions can sometimes play a big role in your car accident, but you may forget weeks down the road exactly what the road and weather conditions were at the time of the accident. Be sure to take a moment to document the weather conditions. Take photos of standing water, ice or snow. 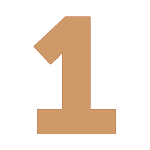 Take a photo of your clock along with the sun, clouds or other prominent conditions. So what should you consider as you hit the roadways in Wisconsin? Here are some statistics that relate directly to driving in Wisconsin. From crash averages, to weather, and road to light conditions, here are some interesting facts that you should know and share! Over the last 5-year period, statistics show that there were on average, a total of over 111,000 crashes per year. On average, there were 509 fatal collisions, more than 82,000 collisions that included property damage and more than 29,000 accidents that resulted in injury. Of the more than 111,000 average car crashes, just over 18,000 were consideredspeed related crashes. 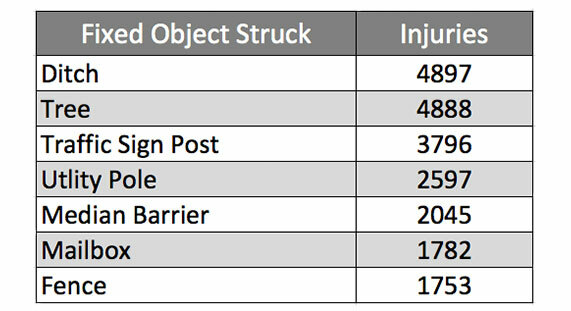 What types of objects are most commonly hit in a car accident? Recent auto accident data shows that the most common hit objects are ditches, followed by trees, traffics sign posts and utility poles. Close behind include vehicles hitting the median barriers, mailboxes and fences. The data shows that in Wisconsin, deer are one of the most prominently hit objects on the road. Now that shouldn't necessarily surprise you considering the high deer population in the state. Have you ever encountered or hit a deer on the road? Light conditions do have an impact on car accidents. It might surprise you to see that car accidents are most prevalent during day light hours. The vast majority of auto accidents occur when it is light outside, followed by nighttime hours. Dawn and dusk have the lowest amount of car collisions. So as you head out on the road during the day, make sure you are aware of your surroundings and pay attention to your safety on the road. According to the Federal Highway Adminstration, in Wisconsin on average, there are more than 5,748,000 vehicle crashes each year. 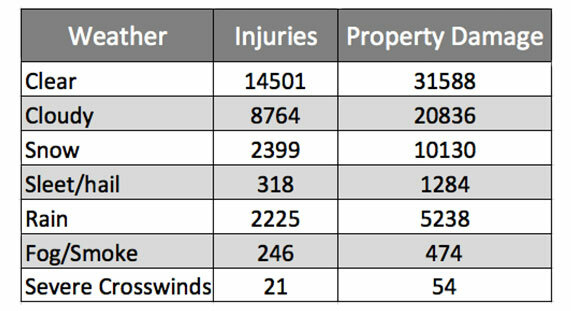 Approximately 22% of these crashes are weather-related. 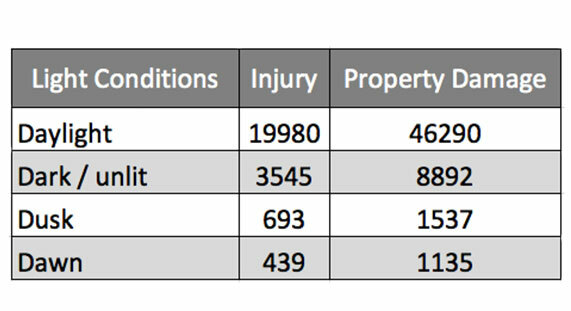 In this data comparison, weather-related crashes are considered crashes that occur in adverse weather or on slippery pavement. Weather does play a role in car accidents in Wisconsin, with surprising results. According to a recent study documenting car accident statistics, weather plays an important role in when accidents occur and the fatalities, injuries and property damage that results. The majority of car accidents that result in injury and property damage happen in clear conditions, which may surprise you. Accidents in Wisconsin involving cars, trucks and motorcycles happen almost every minute of every day. Our team of car accident lawyers believe in the importance of preparation. So we have created an easy to follow Car, Truck & Motorcycle Accident Checklist designed specifically for your vehicle glovebox. Print it out and if you follow along with the checklist if you are involved in, or witness, a motor vehicle accident. The information you need to exchange with other drivers. What you SHOULD and SHOULD NOT say at the scene of an accident. When to call law enforcement. The important photos you should take at the scene. How to deal with the insurance company. Be prepared on the roadways with the valuable information you may need. Download an accident checklist now! The rules of the road create a minimum standard of conduct for drivers. The rules of the road tell drivers how to drive, where to drive, and what the requirements are for driving various types of vehicles. Violations of the rules of the road constitute negligence as a matter of law. Negligence is the failure to use reasonable care. By breaking the law and violating a rule of the road, a driver is presumed to be negligent because he or she was not using reasonable care to abide by the rules. After a car accident, sometimes you just want to recover and move on, but if you’ve been injured, you may be entitled to compensation and help to cover your medical expenses, lost wages and pain and suffering. Finding a team of car accident attorneys in Milwaukee can be difficult, because the market is saturated with lawyers of all shapes and sizes, with varying levels of knowledge and experience to truly help you and your claim. How do you make the decision on which lawyer is right for YOU? Look for a team of lawyers with experience in car accident cases, work injury and medical malpractice, to name a few. Find a lawyer who believes in educating clients on their rights and working with clients to reach a settlement or trial decision in their favor. From the first steps of legal discovery, to jury trial, to the appellate court and even the Supreme Court: our philosophy and the philosophy of my team of personal injury attorneys is to treat every case as if it is going to trial. Try to avoid lawyers who promise a quick settlement. Insurance companies know which lawyers looks for fast results and which lawyers are willing to go the extra mile on behalf of client. Instead of listening to radio ads and TV commercials that guarantee results (without ever hearing about your case), consider doing your research and finding a car accident law firm that focuses on quality, not quantity. It is important that you meet with a lawyer, not a clerk or an assistant. An experienced lawyer should handle contact with you and your doctors to get the appropriate reports. 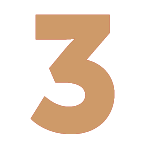 A lawyer should be handling your case at each step of the way – not a paralegal or a support staff member. If you've been injured in a car crash, you may be entitled to compensation for your injuries and you should not have to suffer alone without support. Our team of personal injury attorneys in Milwaukee is dedicated to helping you understand your legal rights and answer any questions you may have and a free case evaluation is the first step in the process. A case evaluation can determine if you have a personal injury claim. A legal case evaluation can help you understand if your case is worth pursuing. A case evaluation is the first step to help you recover for your injuries. Most importantly, a case evaluation can give you great insight into the law firm and their level of experience. Why Have I Been Contacted by a Personal Injury Lawyer After My Car Accident? What Does Car Insurance Cover If I get Paid to Drive Someone or Deliver Something? My 16-Year-Old Was in a Car Accident. What Are the Key Legal Considerations? Wisconsin Department of Transportation. 2013 Wisconsin Crash Facts. Federal Highway Administration. 2015. Highway statistics, 2014. Washington, DC: U.S. Department of Transportation. State of Wisconsin Department of Transportation. Final Year End Crash Statistics. 5 Year Data Comparison. National Highway Traffic Safety Administration’s Fatality Analysis Reporting System.